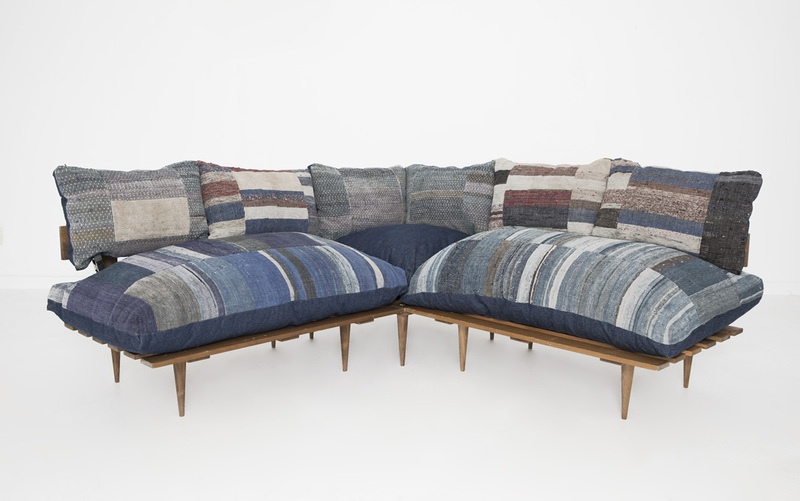 Our new Vita Sofas take a sleek mid-century style base and combine it with oversized sink-in cushions which make a nice contrast and a hell of a chair. 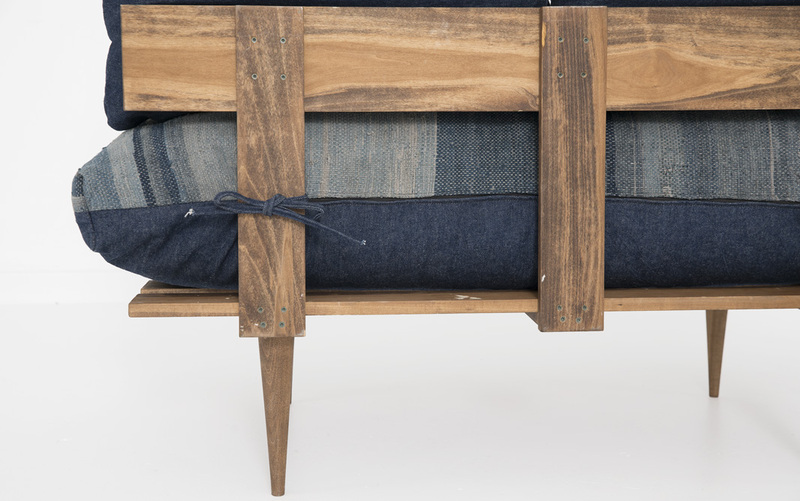 They come in multiple color ways, Pink Velvet, Peacock Blue Velvet, Feather Gray Linen, Cream Cotton and now introducing our Indigo upholstered Vitas! 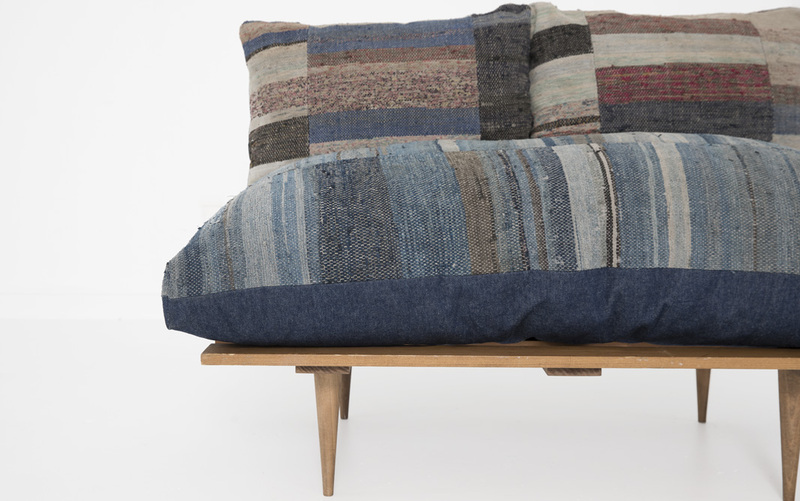 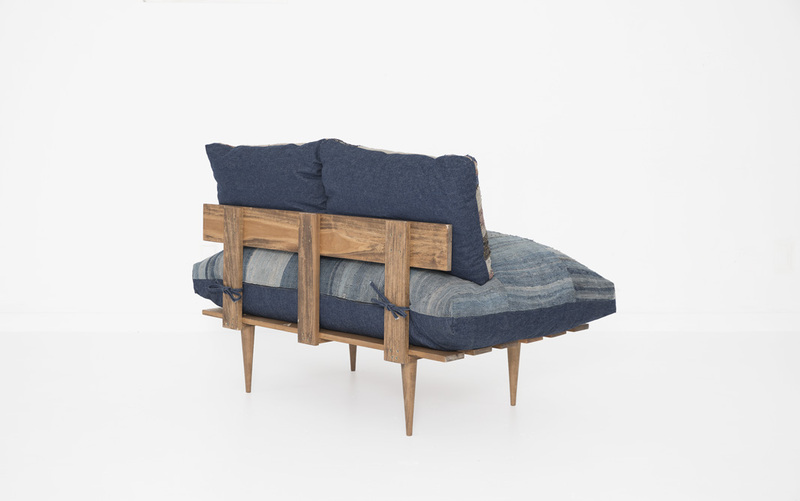 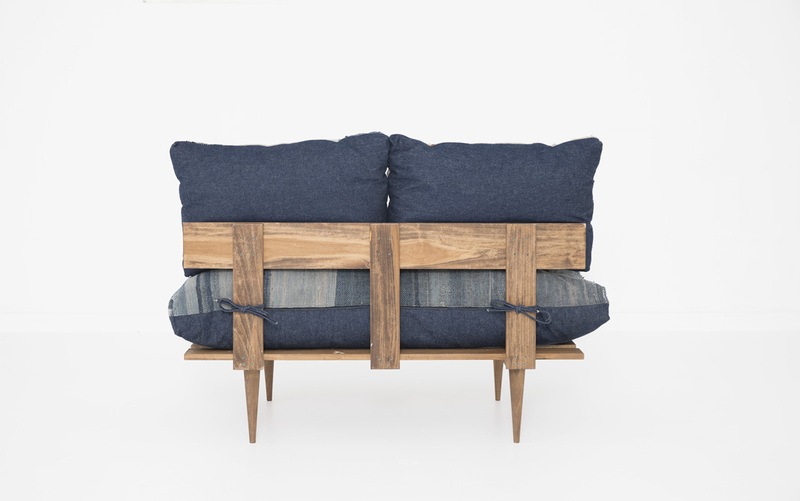 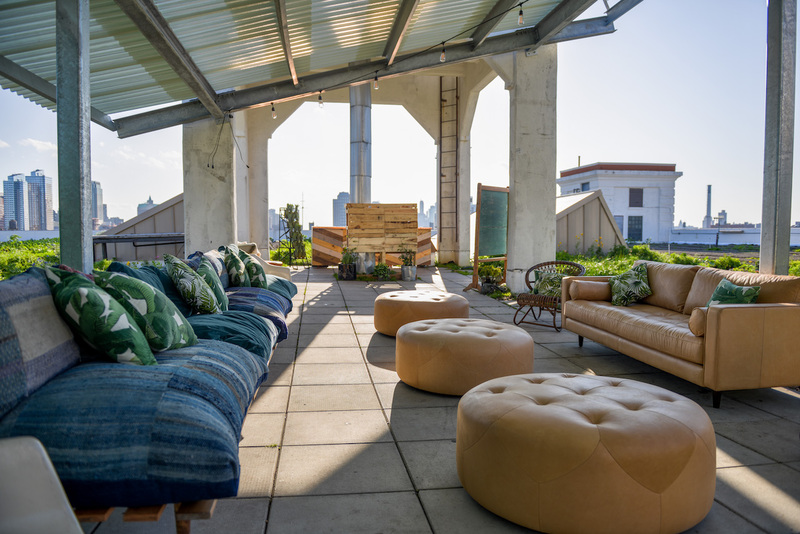 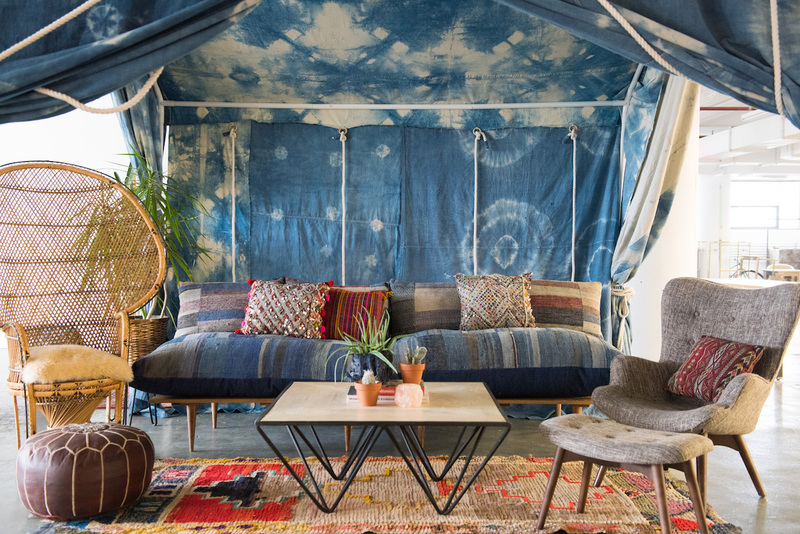 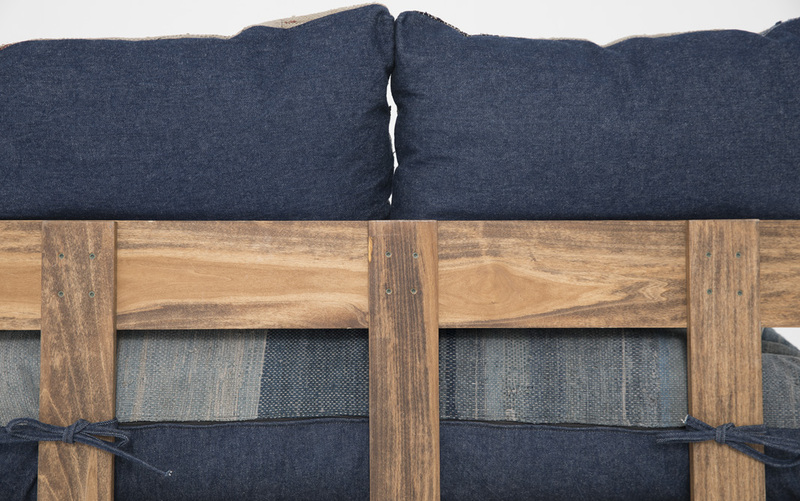 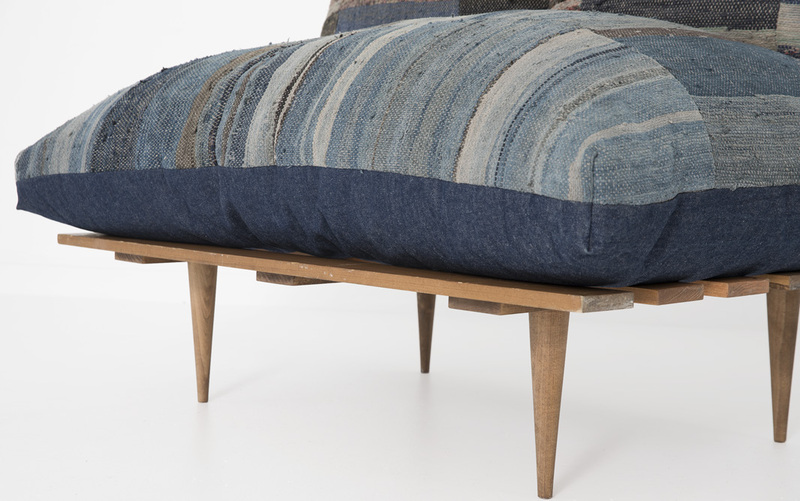 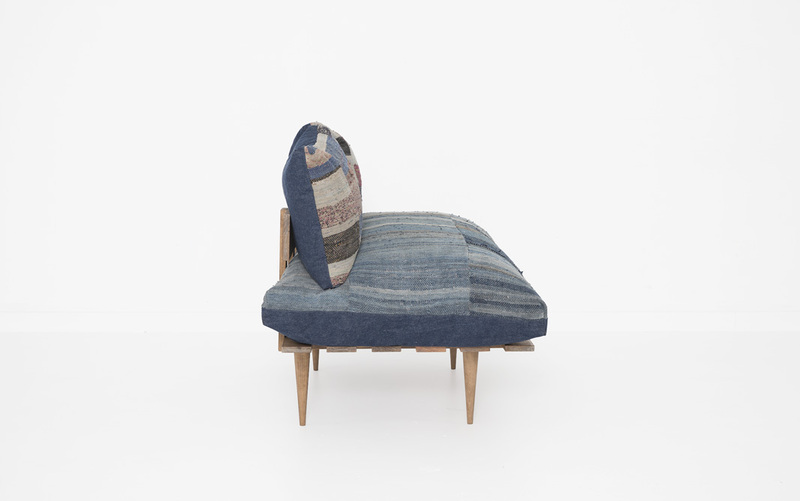 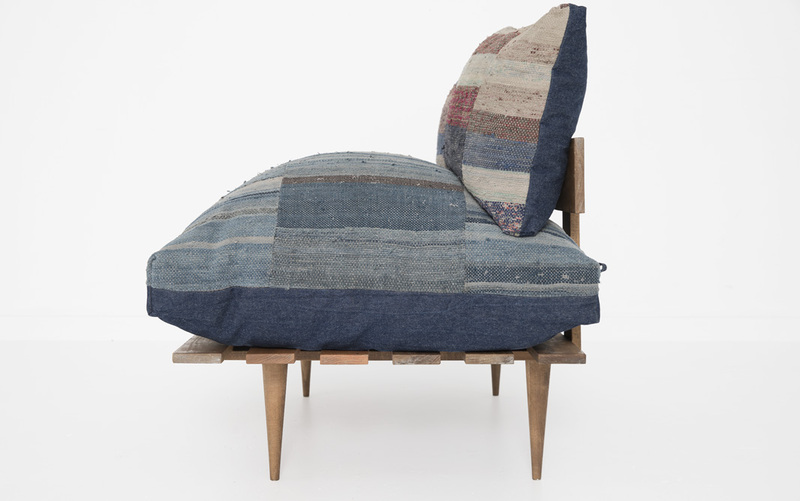 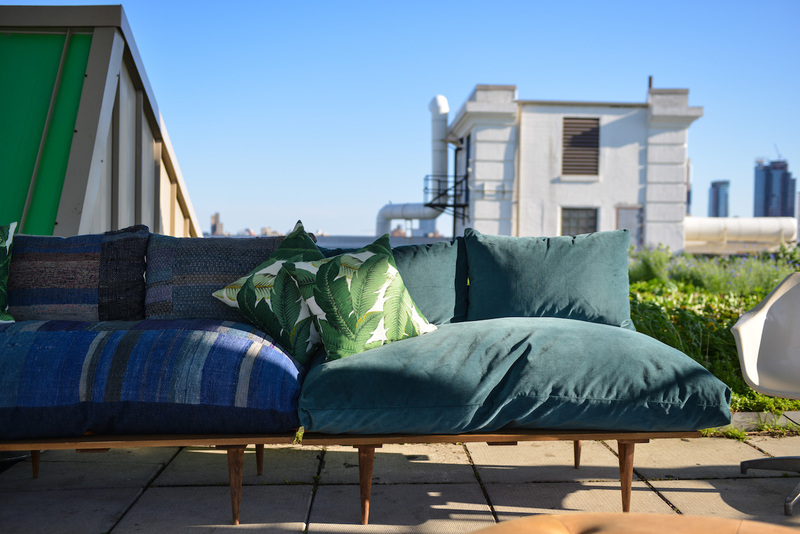 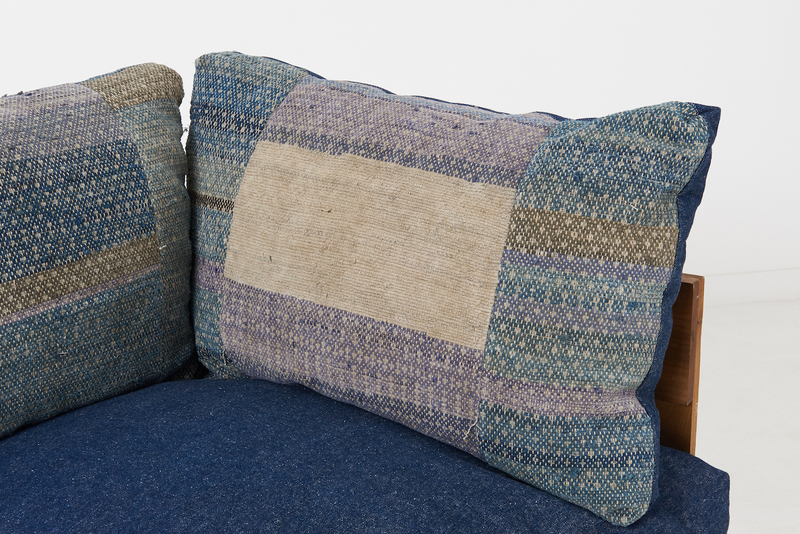 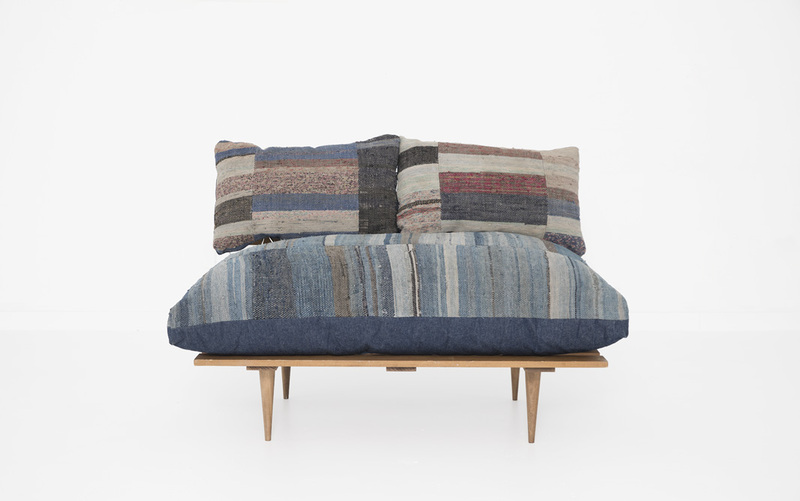 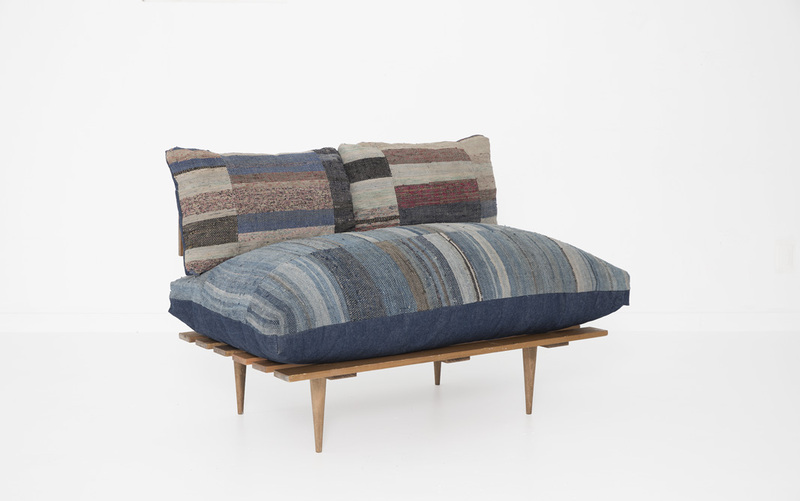 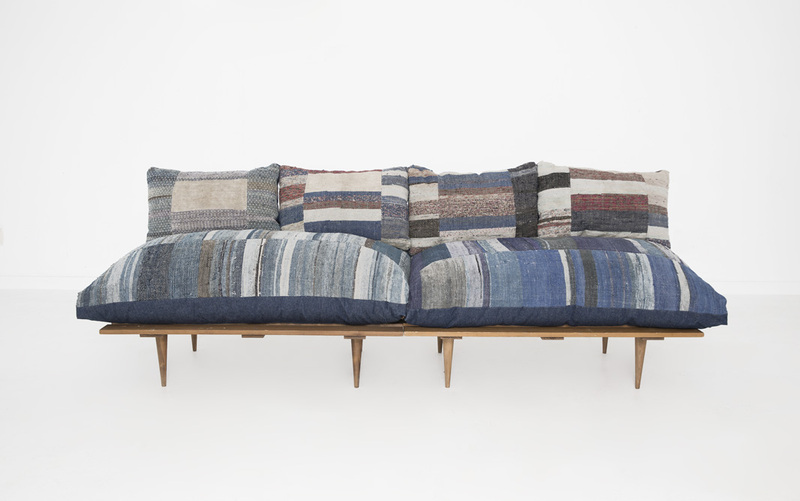 They are upholstered with Japanese Boro Cloth made from Indigo fabric. 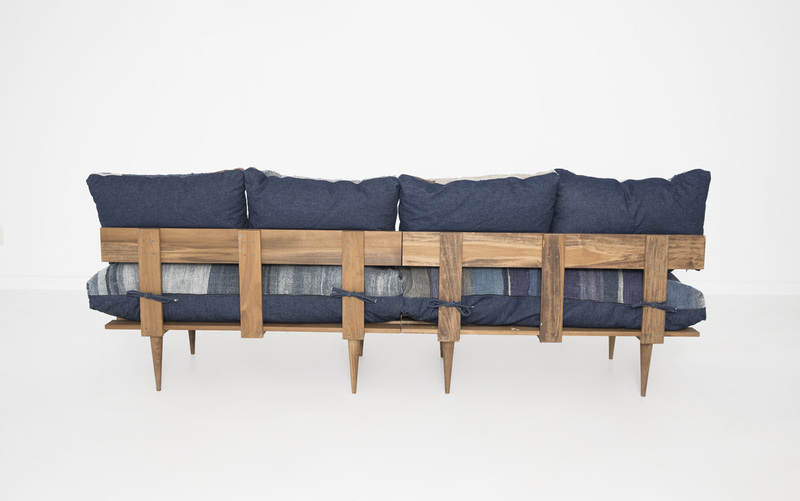 Use 2 together to make a long sofa, face each other for a nice convo area, or add a corner piece to make a nice corner sectional. 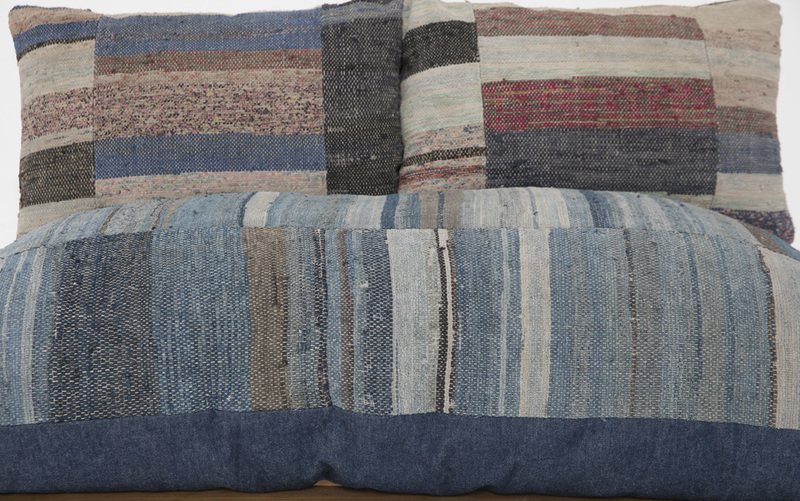 Go ahead, mix and match colors, the Vita’s are fun + functional.